It’s Thursday, which means this particular week is slowly motoring along. Here are some news and headlines from the city of Boston! * The Boston Celtics tallied 32 points in the second, and 29 in the third, as the Green and White captured Game No. 3 against the Philadelphia 76ers, 107-91. Kevin Garnett poured in 27 points, and finished with 13 rebounds, while Paul Pierce added 24 points, 12 rebounds and three steals. * Boston now owns a 2-1 series lead, and will return to the hardwood on Friday when they attempt to earn a two-game lead against Philly. * According to the New York Times — Rajon Rondo appeared more focused than ever during Wednesday’s shoot around, and told head coach Doc Rivers prior to tip-off that the third game of this particular series was necessary for Boston. Rondo finished the contest with 23 points and 14 rebounds, but recorded 17 points in the first half. * The Boston Red Sox watched their five-game winning streak conclude on Wednesday in Tampa Bay, as the Rays scored twice — once in the second, and once in the sixth — to earn a 2-1 victory. Clay Buchholz lasted five innings, and yielded six hits, two earned runs, but fanned five batters. * Boston and Tampa Bay will conclude their two-game series on Thursday — Felix Doubront opposes Matt Moore — first pitch is schedule for 7:10PM. * Bobby Valentine told the media prior to their first game against the Rays that Daisuke Matsuzaka, whose rehab assignment ends on May 23, is not ready to join the Red Sox. Good Tuesday to everyone, and welcome into yet another edition of the Daily Noontime! Let’s kick-start the day with the news and headlines from the state of Massachusetts! 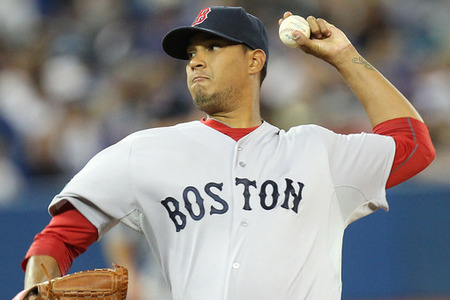 * Boston’s Felix Doubront halted the Red Sox five-game losing streak, as they defeated the Kansas City Royals on Monday, 11-5. Will Middlebrooks hit his second home run as a big leaguer, while Kelly Shoppach recorded his first triple of the season. * The Red Sox are now 12-16, 8-6 on the road, and will attempt to double their current winning streak on Tuesday when Daniel Bard faces-off against Danny Duffy at 8:10pm. * The Boston Celtics will attempt to conclude their first round series against the Atlanta Hawks on Tuesday — tip is scheduled for 8:00pm. 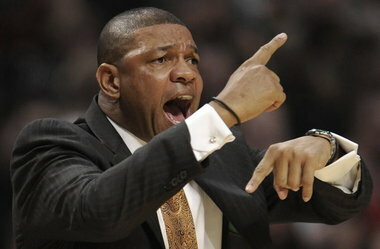 * Head coach Doc Rivers gave his team the day off on Monday, so the Green and White could catch a flight to Atlanta earlier than Tuesday. Paul Pierce, Ray Allen and Avery Bradley needed that extra day to rest, as all three players are nursing an injury. Boston Celtics head coach Doc Rivers joined Sports Radio WEEI 93.7FM/850AM on Thursday to talk about his team’s first round series against the Atlanta Hawks, and Rajon Rondo’s one-game suspension, too.